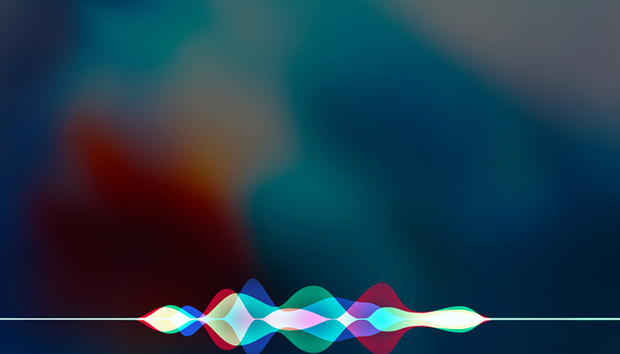 A new report from The Information details the development of Siri, based on speaking with a dozen former Apple employees who were responsible for Siri's development and integration. The former employees spoke under condition of anonymity, and they paint an embarrassing picture of mismanagement that has led to the decline of Siri. In 2011, when the iPhone 4s was introduced, Siri was a game-changer. No other phone had anything like it, and Apple knew it. The iPhone 4s TV ads focused on Siri, with celebrities like Martin Scorsese and Zooey Deschanel talking to their phone ("Is that rain?"). It was magical! Today, Siri's many failures have become a meme, while Alexa and the Google Assistant have raced ahead with greater capabilities and integration with other products and services. Worse, Siri's underperformance is dragging down important new products like HomePod. Siri began life as a third-party iPhone app when Apple purchased it for an undisclosed sum in 2010 (some reports put the figure at over $200 million). The Information's sources say that Siri's problems go all the way back to the very beginning, where the company, "rushed Siri into the iPhone 4s before the technology was fully baked, setting up an internal debate that has raged since Siri’s inception over whether to continue patching up a flawed build or to rip it up and start from scratch." The article paints a picture of an original vision for Siri that has been compromised by multiple shifting managers and internal infighting. At its inception, Siri was envisioned as a platform that developers could freely tap into, an "App store for AI" that would allow users to "orchestrate the internet through conversation." In order to launch Siri on time, Apple had to put that mission on pause and focus on a few core capabilities that it would have complete control over. But Steve Jobs was apparently a huge believer in the core mission, and promised that the "App store for AI" vision would be realized later. Steve Jobs died the day after Siri was introduced, and the project lost its coherent, driving vision. After launch, Siri proved more popular than expected, with far more requests coming in than anticipated. The back-end software struggled to keep up, and the Siri team scrambled to improve the bug-ridden and unoptimized code to make it operate at such a large scale. These problems were compounded by a series of leadership turnovers that did nothing to help cement a clear vision for Siri, including the loss of Scott Forstall and Richard Williamson after the disastrous launch of Apple Maps in iOS 6. The report from The Information paints a grim picture, but the experience of using Siri over the years makes it ring true. For Siri to squander such a big lead in AI assistants, this kind of continual leadership failure would have to be true, right? But it is not the final word on Siri. The article relies primarily on the words of former employees, with less insight into the current development of Siri. In the middle of 2017, a refresh of Apple's executive bio page provided an important bit of information: Siri had moved from Eddy Cue's "Internet software and services" team to Craig Federighi's "Software Engineering" team. In other words, it moved from the "Apple Maps and Apple Music" guy to the "macOS and iOS" guy. It's a telling change, one that signals a core shift in how the company thinks about Siri. It appears that Apple is thinking of Siri less as a feature and more as a core part of its operating systems. That's good news. It aligns with the original vision for Siri, and may signal the sort of holistic re-engineering that Siri needs to provide better answers and information, along with an architecture better suited to integrating third-party apps and services. We don't know what lies ahead for Siri, but we have high hopes that iOS 12 will bring sweeping improvements.